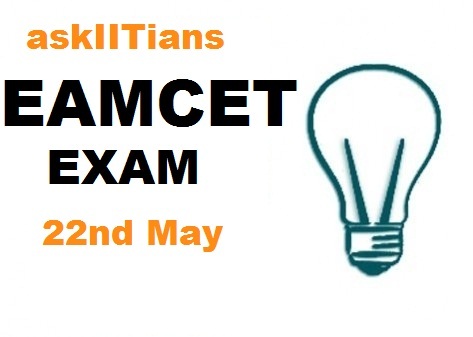 WARANGAL: Around 3.95 lakh students will appear for EAMCET 2014 across the state on 22nd May, said Professor K. Eshwara Prasad, the co-convener of EAMCET 2014, on Sunday, the 4th of May, 2014. Prasad told media that a total of 2, 82, 444 students have applied for engineering and 1, 12, 860 for medicine EAMCET entrance. Students appearing for the engineering stream will sit for the test from 10 am to 1 pm, whereas those for the medicine stream will sit from 2.30 to 5.30 pm. The Hall tickets can be downloaded from May 8 onwards from the official site. Earlier, Mr. Prasad reviewed the arrangements for the EAMCET examination in Warangal district. Around 21, 200 students will appear for the test for the engineering stream and 4,400 students for the medical stream from Warangal region alone. Enforcement officers, as well as special observers have been appointed to monitor the EAMCET entrance exams. Revenue and police personnel will also extend support for the same. Candidates will not be allowed to take the test if they are late by even one minute in the exam hall.